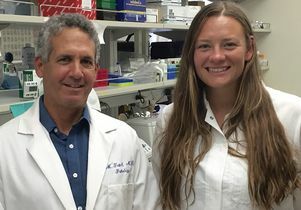 Researchers at the UCLA Eli and Edythe Broad Center of Regenerative Medicine and Stem Cell Research have discovered that a metabolic molecule called alpha-ketoglutarate helps pluripotent stem cells mature early in the process of becoming adult organs and tissues. The findings, published online today in the journal Cell Metabolism, could be valuable for scientists working toward stem cell–based therapies for a wide range of diseases. Pluripotent stem cells have the ability to create any specialized cell in the body, such as skin, bone, blood or nervous system cells — a process called differentiation. Because of that ability, scientists are studying pluripotent stem cells to determine whether they can generate healthy tissues that could be used to treat people with conditions ranging from Alzheimer’s disease to blindness. 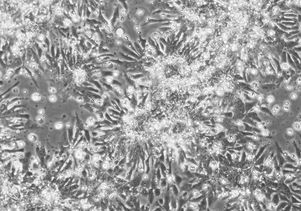 But to coax pluripotent stem cells into any desired cell type, scientists have to find the right conditions and mixture of molecules to add to the stem cells to promote differentiation.